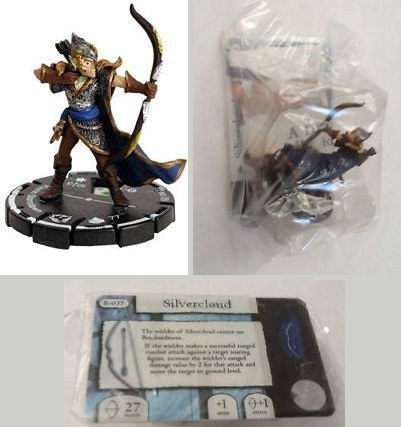 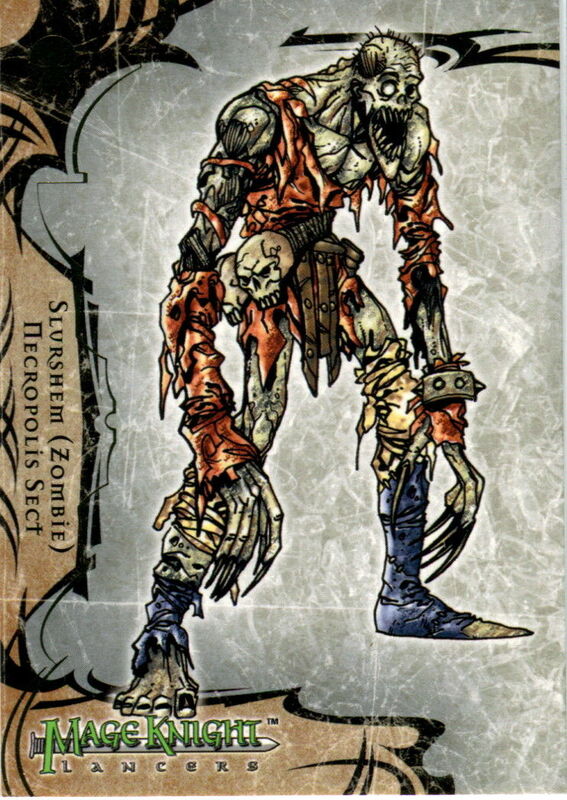 This was a redeemable Rebellion limited edition promo figure that you could get when sending in the Upper Deck Mounted Elven General card. 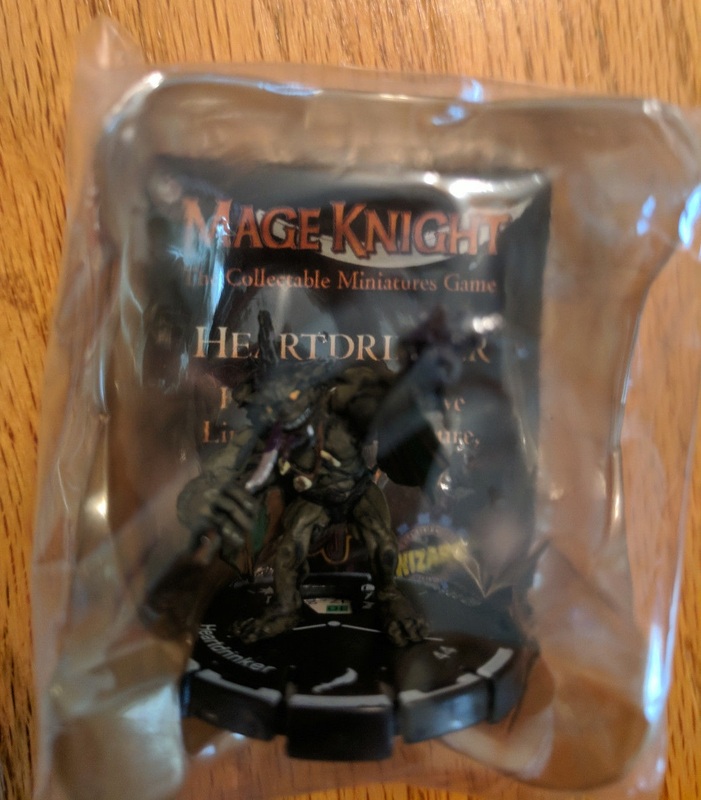 This was a promo figure given out to promote Mage Knight 2.0. 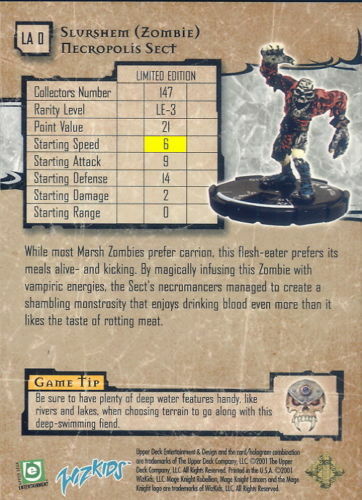 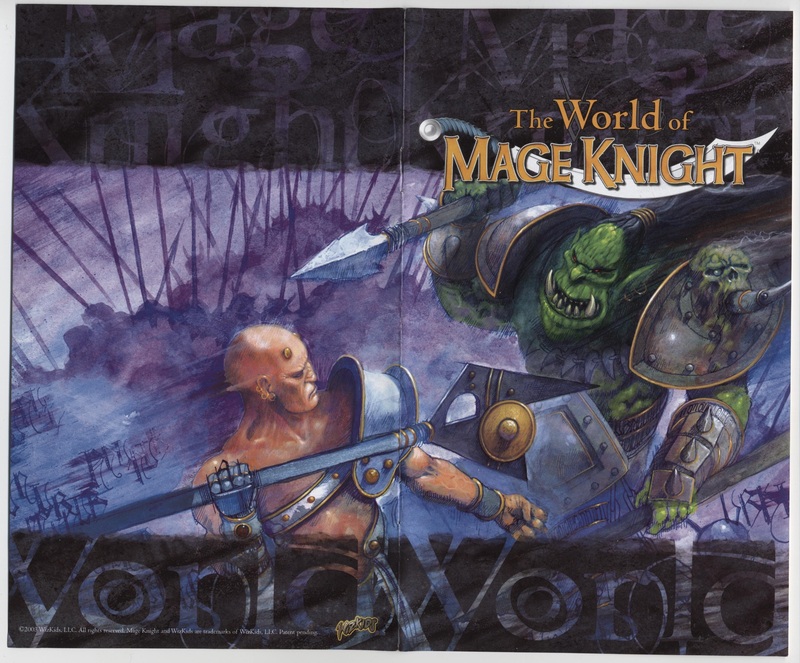 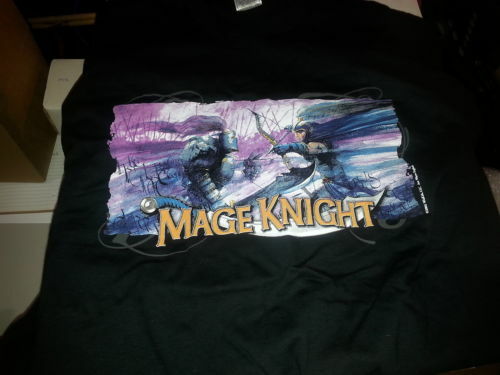 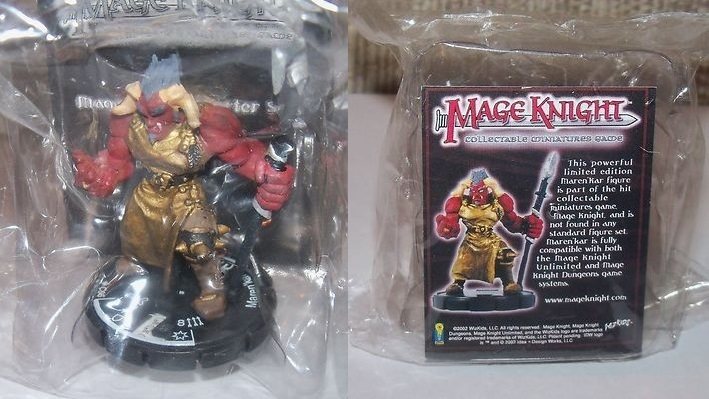 This was a promo figure given out to promote Mage Knight at GenCon 2003. 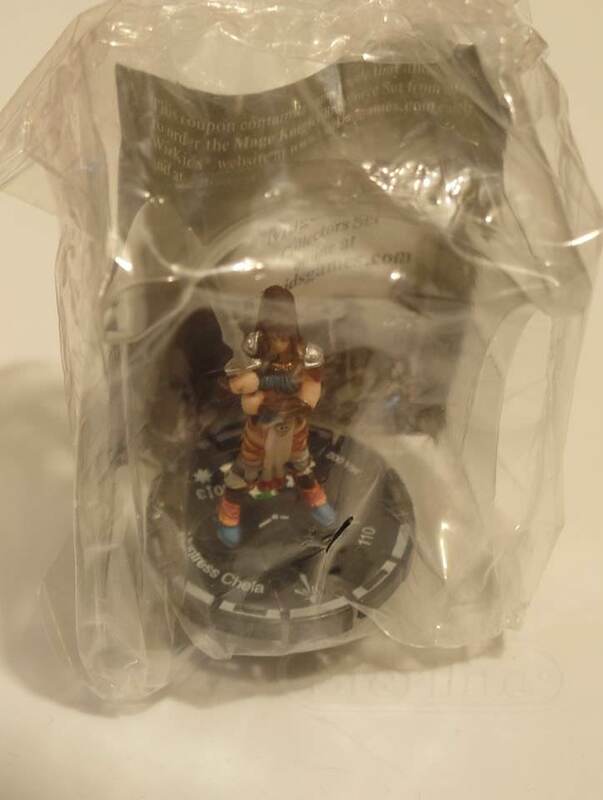 Promo figure given out at the GAMA Show in Las Vegas. 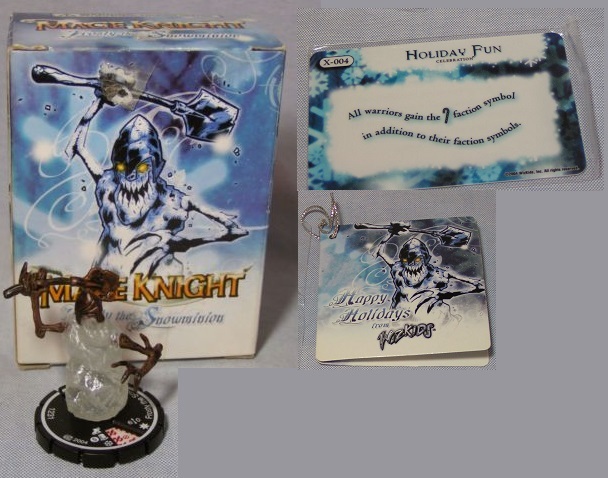 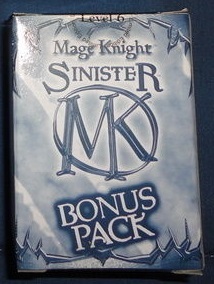 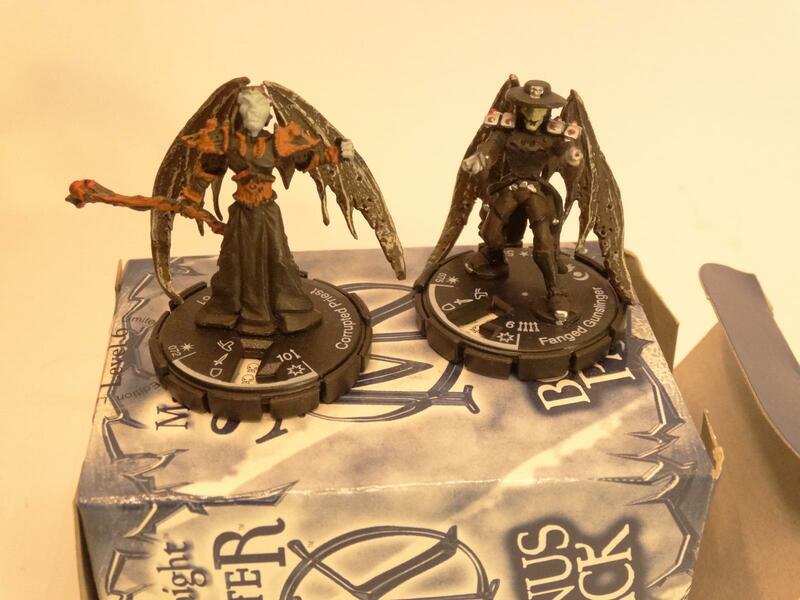 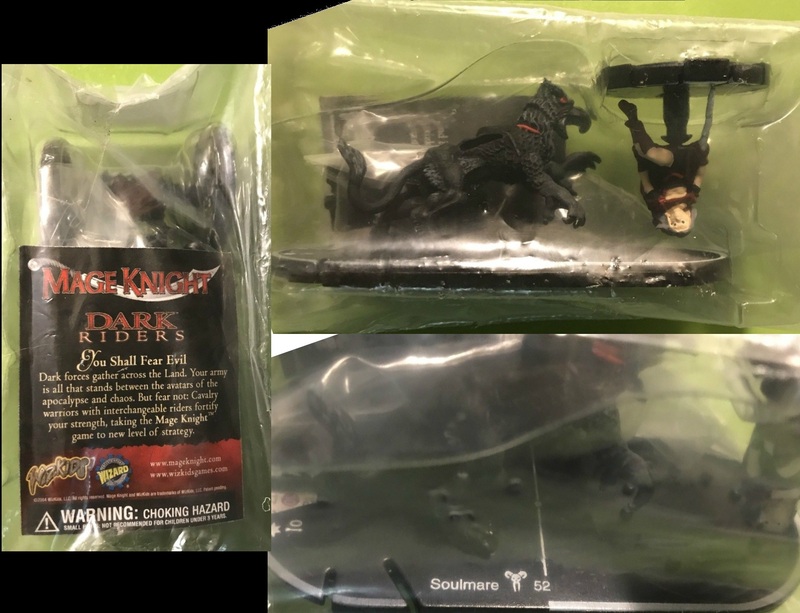 This was a promo figure given out to promote Mage Knight Dark Riders. 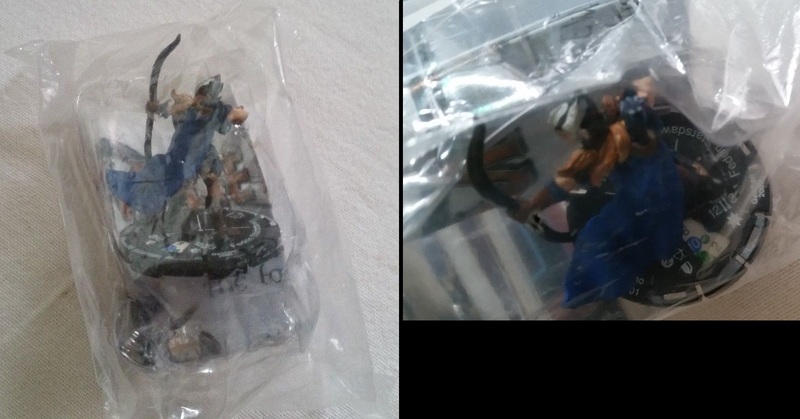 This was a Mail-away promo figure. 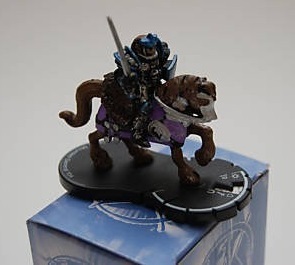 Origin of figure is unknown. 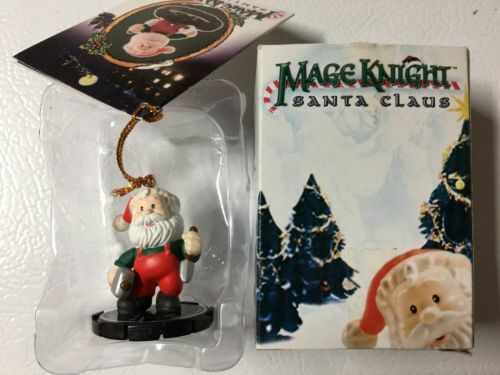 This was a holiday promo figure. 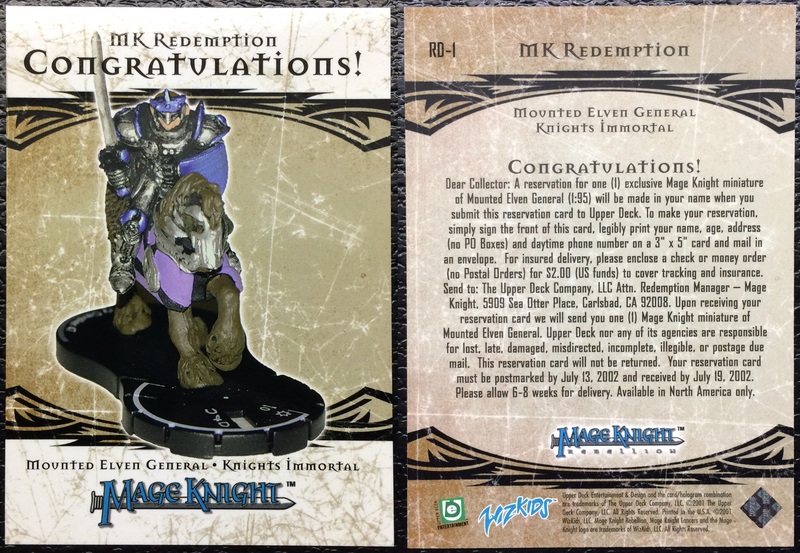 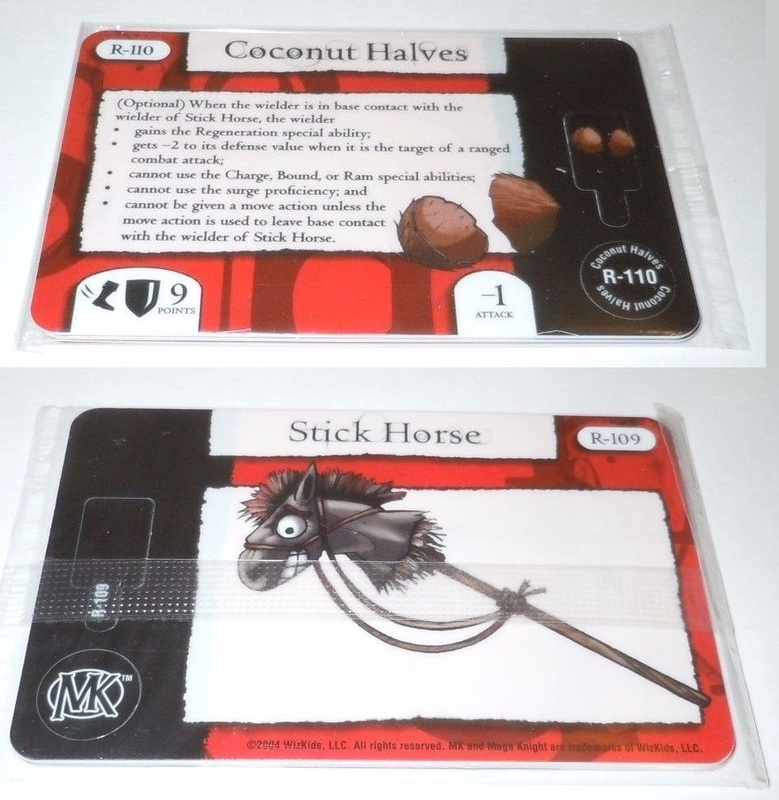 These relics are based on Monty Python and the Holy Grail and were only available by attending Wizkids conventions in 2004. 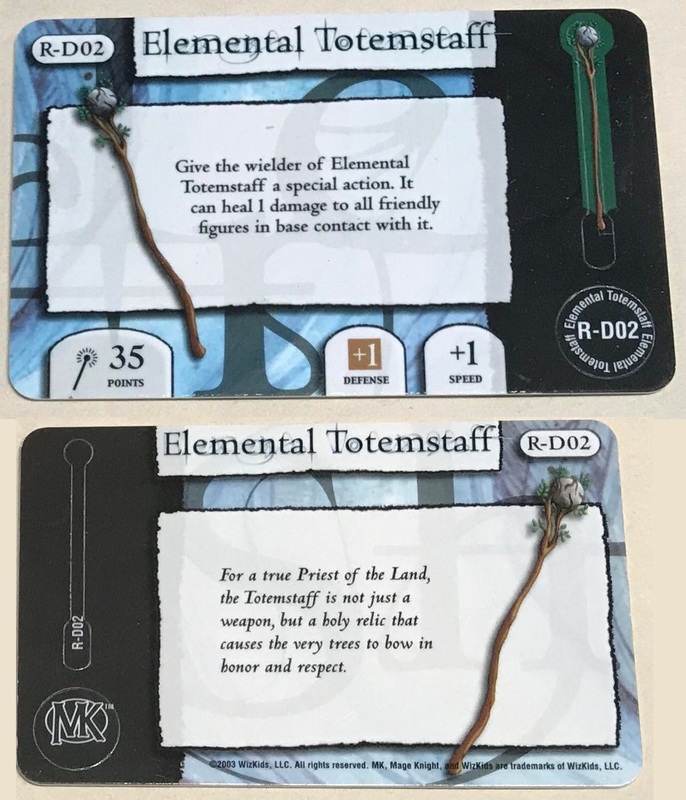 This is a promo version of the Elemental Totemstaff card. 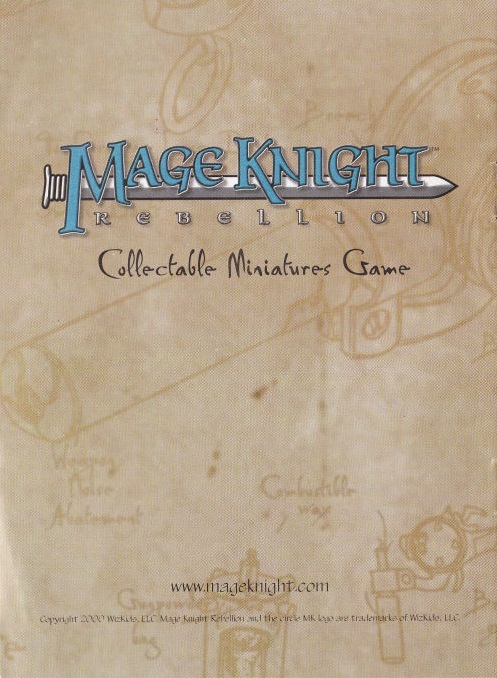 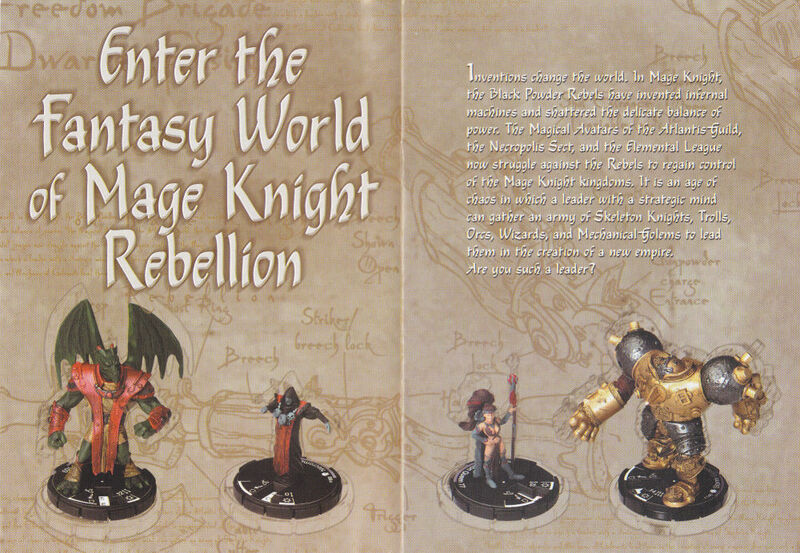 This pamphlet was used to teach new players about the world of Mage Knight Rebellion. 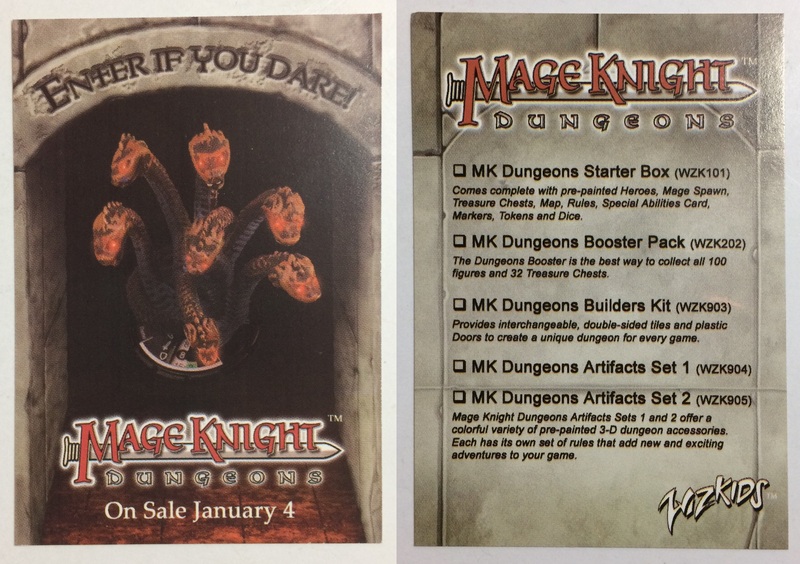 This pamphlet was used to teach new players about the world of Mage Knight 2.0. 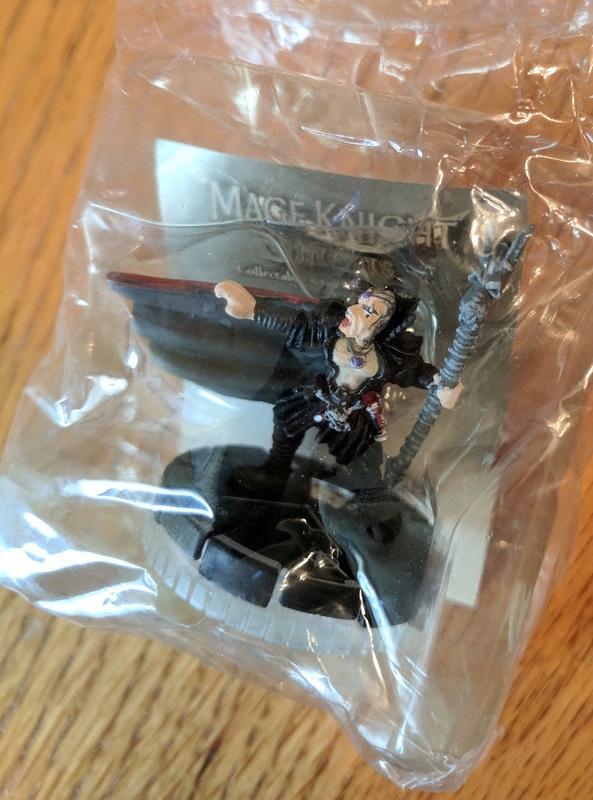 This is a promotional pen given to Wizkids Employees. 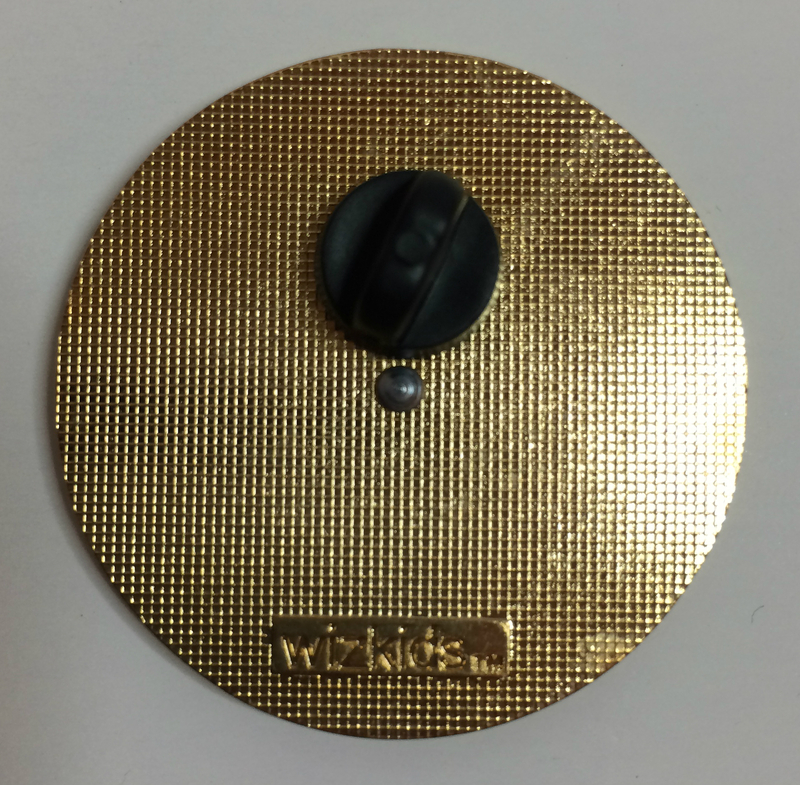 This pin was given out at a convention that WizKids attended. 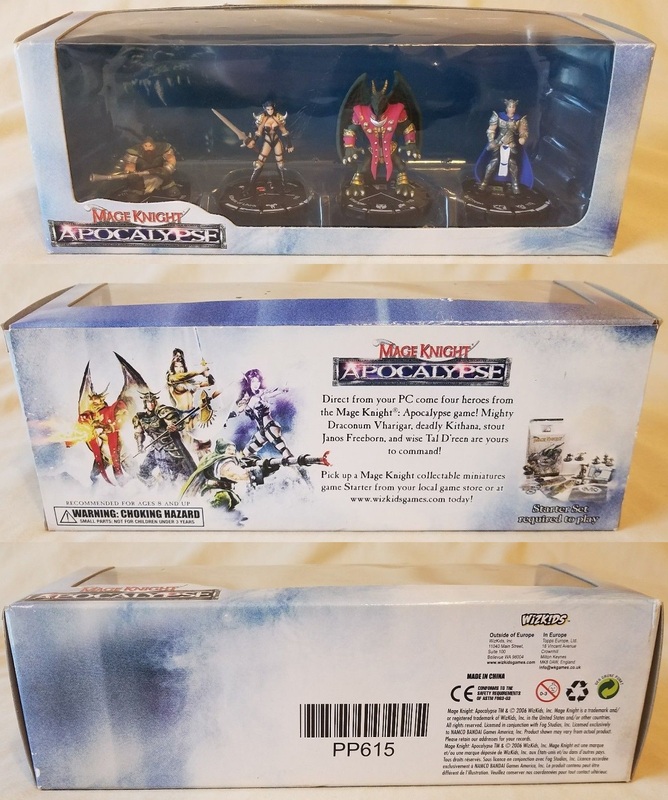 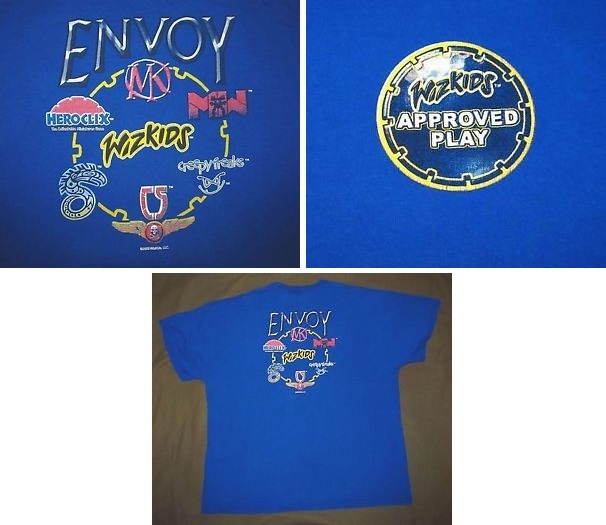 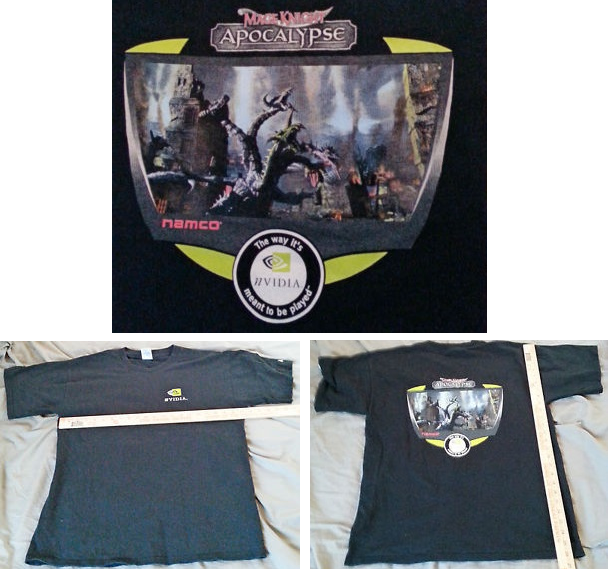 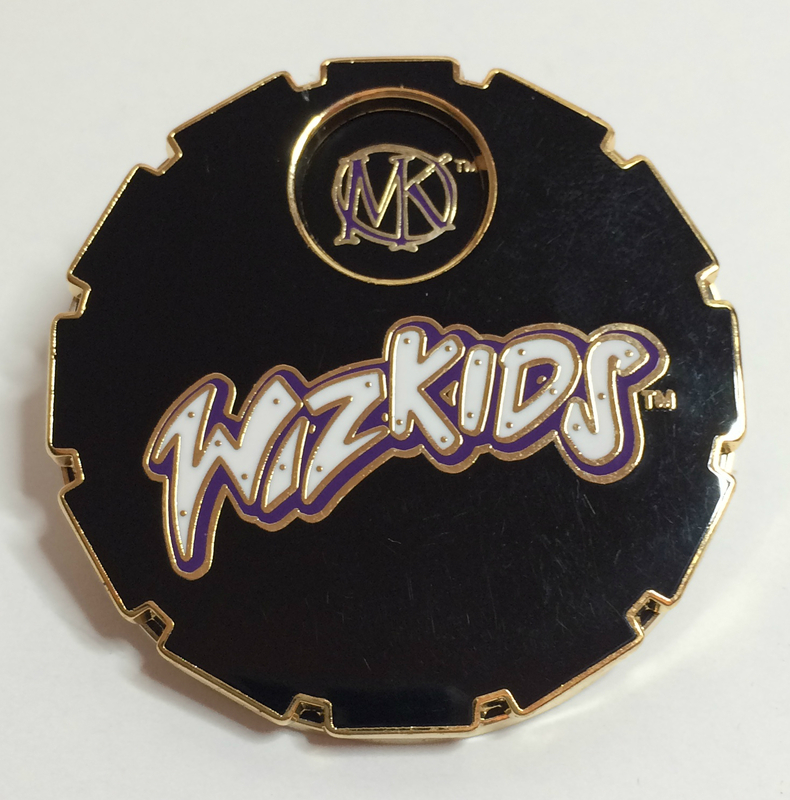 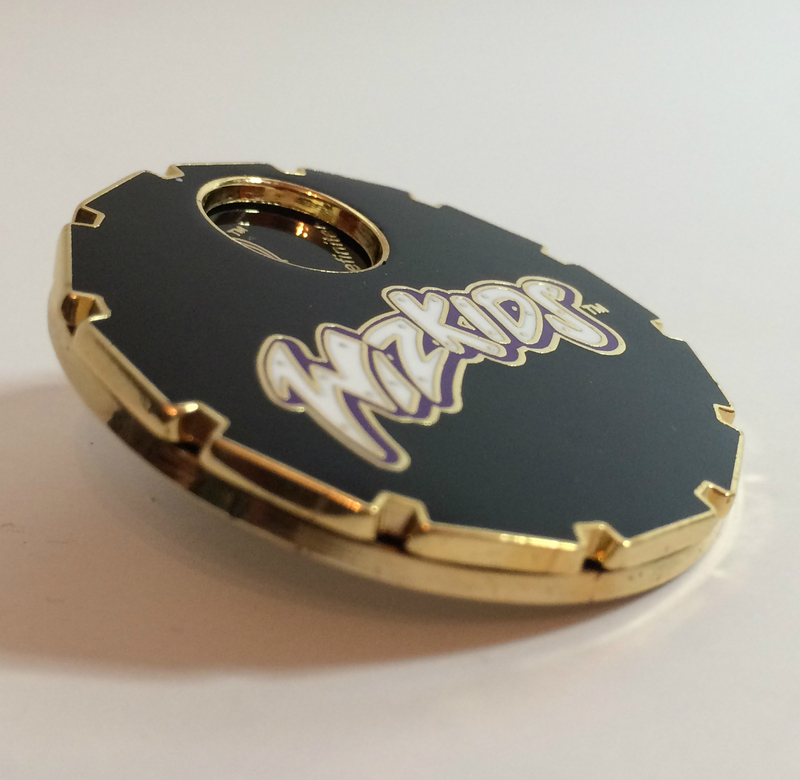 It features the Wizkids logo on the front, and spins showing the Mage Knight, MechWarrior, and HeroClix logos.